There are a ton of different printers out there on the market for sale. Finding the perfect printer for you has a lot to do with your individual needs and so the answer could be hard to ascertain. There are so many different machines with so many different specs, all using various technologies that affect their performance. Trying to narrow it down to just one printer when faced with literally thousands of choices can be quite a job. Thankfully, we decided to take on that task for you and narrow down the range of the best all around, all in one printer. It is always a good idea to have one printer that does it all, even if it has functions that you don’t think you need at the moment. Having a single machine to handle all your needs from printing to scanning to copying to (yes even) faxing is not a bad thing. With that in mind, we are going to go over 10 of the best brand names out there that deliver a great multi-function printer. Some of their features may be more or less important for your needs and in the end, this should arm you with the information to make the right decision. Easy setup. We think this is a must when it comes to picking a printer. If it’s not easy to set up and integrate with your current system, it can be a nightmare. The user interface is easy and accommodating and you don’t need to be a technical wizard to get this one up and running. WiFi direct. This is a great feature which means you do not need to join any WiFi network directly. All you need to do is connect your various devices to the printer. Borderless photo printing. If you are the type of person who prints a lot of pics, you will enjoy the fact that you can print your photos all the way to the border rather than having to have blank space around the edges. Duplex system. You can print to both sides of the paper which saves paper in the long run. Touch screen. This unit has a great touch screen that is very simple and intuitive to use. The HP Envy 4520 has a lot of handy features and not many cons to accompany the pros. It can be a bit slow and sluggish with print time on occasion and you may be slightly annoyed by the popup ads, however, those can actually be turned off through the control panel. Other than that, this printer just plain gets the job done. Cloud compatible. Not all printers offer this technology and if it’s something that you use, this is probably the printer for you. You can even share printing ability with other users if you choose to. This is a great feature to have and a ‘must’ for some people. Duplex printing. This is set to automatic when your unit arrives, so if you don’t want it to print on both sides you will have to change it, but overall it’s a great feature to have. Wireless. When they say wireless, they mean it. No cables to have to run behind your desk etc. Easy setup and you are ready to rock. Faxing is very easy and a nice feature to have for those occasions where you need it. Not much bad to say about this printer. Set up is super easy and the print quality is excellent. The technology used with this printer is very intuitive and there is not much else on the market that gives you more bang for your buck. Instant dry ink. Well, not really, but this is the way they term the feature that allows the ink to dry right away so that you don’t get any smearing or blabbing in your printing. Great LCD display. You can view and monitor everything with the great, easy to read display. Individual ink cartridges. When run color runs out you simply change that color instead of having to change them all. A great feature that ultimately saves you money. Fast print speed. At around 9 pages per minute, this little guy gets the job done fairly fast. Paper tray will hold 100 pages. Between this and the fast printing time, you can spend more of your time working and less messing around with your printer. As stated, this is a great printer that offers a lot of bang for your buck. One of the few negatives we can find is that when ink needs to be refilled, all the cartridges must be refilled. In other words, you can’t leave one empty cartridge. Other than that, you can do a lot worse than the Epson Expression Home XP-330. If you have a small home office with not a lot of available space for your printer, you will appreciate the size of this little dandy. It also comes with an inexpensive price tag and with all the multi-function capability it carries, makes it a hard to beat choice. Wireless. No cables=no fuss, no muss. Mobility. You don’t need to directly access the printer for scanning or printing. You can use devices such as your mobile phone to send right to your printer from any location. Cloud compatible. As stated before, this is a great feature that allows you to store documents in the cloud and then print them directly from there. The only thing we don’t like about this printer is that set up is not terribly easy. The software is not great and it takes a pretty complicated arrangement to get this thing going. Make no mistake, this is a great printer, but for people with zero technical skills, it can be a complete pain to get set up. This is another great, multi-functional printer that comes in a small package. It is a very power printer that does all the features you might want and does them exceptionally well. WiFi direct which allows you to access your printer through your mobile devices. Set up is easy. Non-techies will have an easy time integrating this printer into their existing setup. Great touch screen display. The display on this printer is quite helpful to find any of the information you might need about various activities. One of the few cons we can find to this machine is that the printing speed is fairly slow, so if you are printing in larger volumes it may get on your nerves at times. Also, because the printer is smaller in size, you can run out of ink very fast if you do a high volume of printing. It doesn’t come with an Ethernet port either, which these days, for most people, is not an issue, but in some older setups could cause a large problem. Definitely a professional machine for professional use, this printer is well made, very high-quality construction. If you are looking for something to use in the office that will stand up to heavy use, you could do a lot worse than this printer. Duplex printing, as well as improved printing quality, make this a superb machine if you need very high-quality printing. Large capacity paper tray. This tray is able to hold up to 250 pages, which makes it perfect for heavy-duty use. The size of this printer is rather large, but at least it isn’t real heavy and bulky to move around. The printing speed is quite fast and it is extremely quiet as well. The overall construction feels very solid and you get the feeling that this printer will hold up for many years of hard use. The only real negative to running this machine is that if you are not overly techie, you may find set up to be complicated and confusing. Yet another professional grade printer that can do it all, this printer is rated as one of the best on the market. Wireless. Up to 5 users can access this device and it is easy to set up each user as well. You can scan straight to email or cloud, which are both handy features to have if you do a lot of scanning and need to save the documents that you scan. Speed is good and can get up to 19 pages per minute so if you are printing in large volumes this is quite helpful. Small size. This is the smallest printer in our lineup, but you do not sacrifice any quality to get the small footprint. Ethernet port is available for users who need one and the auto duplex function is very handy. Once again, the only con we could find to this machine is that the set up is fairly painful. 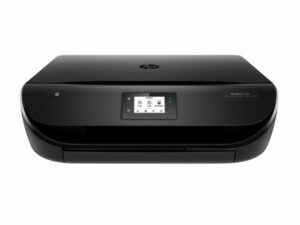 HP needs to understand that not everybody who will be using this printer has a ton of experience in installing them and improve their process for installation. The headlining feature of this printer is that it does not come with cartridge ink. Instead, it comes with a huge tank! If you are printing in black and white, this ink tanker holds enough to print out about 5200 pages, which is quite exceptional for a printer of this type. Auto duplex function saves operational costs and is easy to use. It is also easy to switch it to manual control if you don’t want the duplex function on all the time. Borderless photo printing is another plus for this machine. The wireless operation makes it a snap to be compatible with all types of mobile devices. Because of the way this machine prints with its ‘super-tanker’ of ink, it is very inexpensive to run when compared to other printers. You don’t have to buy cartridges anymore you instead just purchase bottles of ink. The print quality is also very good and the speed of printing is excellent. Surprisingly, the ink bottles are also quite sturdy so you don’t have to be worried about spills and messes. One of the cons to this device is that it is fairly loud and replacement parts can be expensive. Scanning documents from a mobile device are also not terribly easy if you are unfamiliar with such things. This is yet another great wireless printer. One of the first things we noticed about this machine is the great display screen that comes with a colored ability that is not only useful, its kind of fun to use. Ink cartridges come in separate compartments making replacement a breeze. Sends and receives faxes quickly and easily. Operation of this printer is inexpensive and you can manage everything without much effort. Print quality is quite good and borders on being premium. The speed is also a plus on this printer as well. One of the things we noticed that definitely should be changed is that it will sometimes automatically run the cleaning mode, which wastes ink. Other than that, this is a great printer for the money. Another wireless printer that is simple and easy to set up. You can use your mobile device to print or scan without being a techno-wizard. WiFi connection is quite easy and can be accomplished with a couple pushes of the button. Canon uses a new ink type with this printer that ensures very bold and bright, as well as smudge-less printing. Ethernet connection for those that need it. Available in white color for the fashion-minded, which you don’t find very often. This printer makes great copies and the ink cartridge lasts for quite a long time, however it does not have the ability to fax. The only other con that we can find is that since the ink technology used by Canon is quite new, it can be somewhat tough to find. Overall, these are 10 great printers that should fit any and all printing needs. You can take a look at the various features and strengths of each and find the perfect printer for your home and/or office needs.